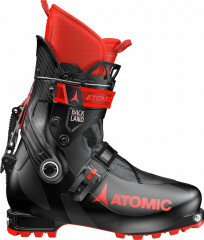 Atomic has taken a new approach to just about everything related to ski-touring: skis, skins, bindings and boots. The Backland Ultimate is no exception. It’s a skimo race boot that incorporates Memory Fit, a revolutionary molding-technology that has made Atomic famous among skiers with ugly feet. The entire boot, including the shell, can be thrown in an oven for a few minutes (do not attempt). Cold compression wraps cool the boot around the contours of your foot to create the ultimate fit profile. Memory Fit is a moldable shell design that is soft and pliable when hot, but stiff and responsive when cold. A washable sock-style liner is employed in the Backland Ultimate to provide simplicity and supple comfort throughout a day of touring or racing. A large single-throw lever dictates walk or ski mode in a simple and durable fashion. The carbon cuff and frictionless pivots allow the boot to walk like a running shoe. A grippy Skywalk rubber sole encourages booting up ridgelines. 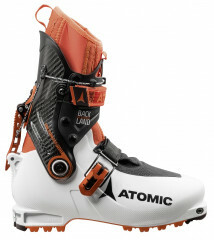 The Backland Ultimate is Atomic’s proud debut into the world of race-boots and it will quickly be a favorite for some. 80° of articulation is well beyond the capabilities of the average human ankle. Carbon Cuff adds stiffness and precision while a Grilamid shell durably handles walking duties. Free/Lock 3.0 is one of the easiest and simplest boot closure designs out there. Serviceable, frictionless pivots are rock solid for skiing precision and walking freedom. Skywalk Rubber Sole summons Luke Skywalker-like traction and speed. Update 2018/19: Atomic changed to a traditional tongue-liner instead of the previous sock-style liner, making it easier to put on and take off. They also gave the boots a new paint job and extended the built-in gaiter a bit higher on the shell to improve waterproofing. Weight went up about 60 grams (2.1 oz). Is the BSL the same for the 2017 and the 2018 models? Hello Kevin, They have the same BSL printed on the boot, but we have found that there is a fraction of a mm variability on some. My old Dynafit Dyna Evo boots have a problem with the rubber sole wearing out really fast on the heel part where the sole meets the binding heel flaps. I have replaced the soles already two times. It looks like that the older white Atomic Ultimate has some different (at least different colour) rubber on the heel and toe to probably address this problem. Does the new black boot also have some harder wearing rubber in toe and heel? Hey Joel! Dang, that's not fun. Sorry to hear that. It's tough to tell if this sole is any different than the one on the Backland Carbon, but the sole on that boot is wearing standing up to a ton of abuse. We've seen some really hammered Backland Carbons and never once has the sole been the issue. One version of the Dyna was kinda known for having some sole issues so you're not alone there. Help! The cord on my boot just completely frayed (only 25k-ish vertical in the boot too!)  - I need to replace STAT - is it 1.8mm? Hey Aaron! Oh man, not good! If you're looking for a field fix, a Voile strap around the cuff would allow you to limp your way back to the trailhead. The cord is 2mm cord and because of the really gentle routing you could definitely get away with a few lengths of 2mm accessory cord for the time being but send me a picture and I'll see what I can do for you. Definitely not a field fix although I suppose in a pinch with the right cell reception, I might actually post you guys a question while sitting in a snow cave! I will shoot you a pic but basically where the cord runs from the lever to the grommet on the outside cuff the grommet (because it is metal?) cut the outer casing, leaving in tact what I assume is a spectra interior (it is white, and held all day). I have some 1.8mm paracord coming but I am afraid that stuff will just totally fail. Wouldn't be the first time we've done a FaceTime counseling session with someone in the field! Paracord could be sweet for a quick fix to get you moving again, but you're right, it's the sheath that really matters on the boots with a cord closure. Doesn't matter how strong the cord itself is if the sheath isn't up to standard. The accessory cord I linked in the above comment has a pretty burly sheath so it'd likely do better than paracord which is pretty soft. The Scarpa Alien cords might even work if you want to buy some more replacements! Hi Robert, the fit of these two boots is pretty similar. I think you would probably like the 27.5 if you like the fit of your Backland Carbon. Hi, ok thanks. But to be clear, the 27.5 carbon has a shell length of 298, does the ultimate have the same, or does it have a shell length of 288 for a 27.5? Hi Robert, the sole length of the race boot is shorter, but they have about the same internal length. ok, thanks. I tried it on in the shop, and I found it very soft with lots of flex. I think I'm going to bite the bullit and get a pierre gignoux instead, felt much stiffer to me. What is the last size and how is the mid/forefoot volume in this boot compared to similar style boots (pdg, alien, etc)? Hi Chris, it's in the same ballpark out of the box, but Atomic used "magic-shell" so it can mold around your foot. I'm currently having issues with the heels of the backland ul boot not conforming and causing major rub and lift. I've heat molded the boot and made attempts at padding up the heel to help lock it down but just get too much pressure in the heel bone. Has anyone tried to use a platinum light liner in these boots to add more fill in the heel. It seems the issue is the cut on the lower shell just above the heel is cut so low that there is no room for the heel to rest in and not get any lift. Thanks for any opinions or help. Alex, In general there is always some lift in race boots. Blistering is not good though. We have not tried another liner in that boot yet. It sounds like you have tried everything we would have, it might be that this boot is not the right fit for you unfortunately. Is there a 30 / 30.5 shell size available for this boot? Any chance you will get it in stock? Hi Patrick, there is. Unfortunately we (and Atomic) are sold out for the season. Llevo 5 años con la carpa alíen 1.0 y tengo que cambiar. Estoy contento con la bota pero me seduce la atomice blackland ultimate por el hecho que se puede termodonformar la bota y el botín. Tengo una pequeño juanete en el exterior del pie, y siempre termino el día deseando quitarme la bota. Mi pregunta: ¿Cómo se conforma la bota y el botín? Se puede hacer en casa o hay alguna aparato especifico para conformarlos? Y por otra parte, con la Alien 1.0 terminaba con el pie totalmente mojado, ya que no tiene lengüeta delantera. Con la Atomic Blackland ultimate como habéis solucionado este tema? Hey Aitor, gracias por llegar. El plástico MemoryFit debe ser moldeado por un profesional con el equipo adecuado que la mayoría de las tiendas de esquí no tienen (es un método de moldeo patentado que utiliza Atomic). ¡Es una idea bastante intrigante y hemos encontrado un gran éxito con Backland Carbon! El trazador de líneas no nos ha presentado ningún problema, aparte del hecho de que es bastante ajustado. Se moldea muy bien, aunque el brazalete es mucho más bajo en el frente que su Alien 1.0, así que a menos que lo esté usando en motos de carrera, es probable que no tenga el poder de su Alien 1.0. Does upward pressure created by the cord when the cuff buckle is closed help to keep the lever locked into ski mode, or does the cord tension from the lever in ski mode just provide tension to the cuff? In other words, could the boot be locked into ski mode with the cuff left loose (or unbuckled altogether)? Thanks, you guys are the best. The cord on the boot is connected to the ski/walk lever. When you pull the lever to walk mode, it loosens the power strap. There is a spring and lock that keeps the boot in ski mode, so essentially you can have the boot in ski mode but have the power strap loose. Here's a picture of the spring assembly in the lever. Hi Alonzo, just to add some color: you can loosen the strap and have the boot in ski mode which will give you some movement, but it's not fully open as compared to being in walk mode. Hi J P, the PDGs are a little bit taller and stiffer in forward flex which may translate into skiing performance depending on your style. the PDGs are stiffer? I would not have expected that as this cuff is 100% carbon, right? Hi Aaron, yes the cuff is carbon on the backland. Carbon cuffs don't do a ton for forward stiffness, mainly lateral. 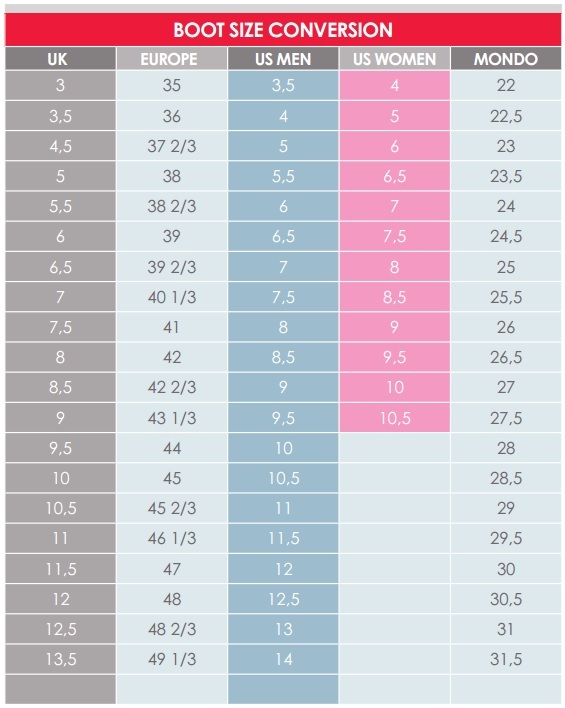 What is the sole length of a size 26.5 Backland Ultimate? On your sole length page you write 278 mm but for every other Backland model the sole length is 288 mm for size 26.5. Hey Jonah. Thanks for reaching out! Yup, 278mm is the BSL for the 26.5 Backland Ultimate. Race boots typically have a shorter BSL than their equivalently sized "heavyweight" brethren, even with the same internal length. If you fit the 26.5 Backland Carbon then you'll fit the 26.5 Ultimate.